How much does a bathroom add to the value of a house? Typically, bathrooms have the potential to add between 4-5% onto your home’s value. But this can go up or down, depending on how you execute your design and build. While adding on a new bathroom might not give you the same kind of returns as renovating your kitchen, not having enough bathrooms can be a leading cause of buyers being put off a property. If you find yourself getting annoyed that you keep finding the bathroom engaged every morning, you can bet potential buyers aren’t going to want to take that off your hands. 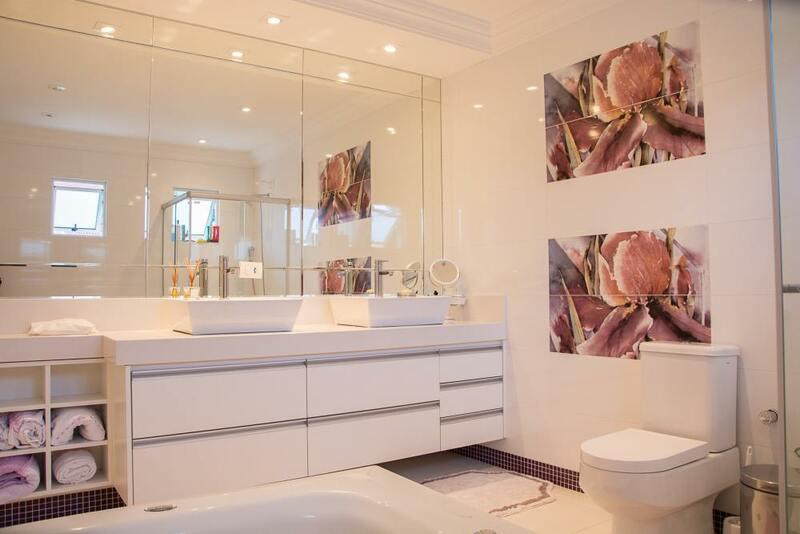 If you already have the space, then creating a new bathroom can cost between £2500 - £6000. However, if you need to convert a loft, or add an extension, that price jumps to between £25,000 - £50,000. These are just rough estimates, no two projects are the same, so it’s worth speaking to a professional when it comes to budgeting. However, as you can see, having an extension costs a lot more than a simply renovation. That’s why it’s worth considering how else your extension could add value to your home - could it also open up your kitchen? Add another bedroom? Side note: here at Resi we offer free consultation calls, so that’s something to bear in mind. If you want to save money, the easiest way to do that is in the fittings. Don’t be tempted by construction estimates that look too good to be true - they are. Put your money into getting your bathroom structurally sound, and save some pennies by avoiding bespoke fixtures. Ain’t nothing wrong with some taps from IKEA. Where should you build your new bathroom? Where you build your new bathroom depends on the layout of your current home, and what kind of property type it is. For instance, Victorian and Edwardian properties tend to have a downstairs bathroom, which a lot of buyers find off-putting (no one likes doing a number two next to the kitchen), so moving this upstairs can be an easy win for adding value. As a rule, you want to have one bathroom for every three bedrooms, and every floor with a bedroom should have a bathroom also. To increase your home’s value, the best thing you can do is add an ensuite to the master bedroom. After all, what could be more appealing to parents than their own bathroom haven - where expensive lotions and potions are safe, and there are no little fists banging on the door. What kind of bathroom are you building? On top of building your new bathroom, there’s also the fittings to consider. While these are not as solid an investment as good old bricks and mortar, how you kit your new bathroom out can affect the value added. Check these styles out, over on our Pinterest. Now it’s important to remember, if you’re not looking to sell your home for a long time, that these fittings will depreciate in value. So you should really consider what you personally like best and how to make the space work for you and your home. After all, you’ll be the one using it. Want to explore your bathroom options with one of our experts? We offer free advice calls throughout the week - grab your spot now.